Keystone Resort's KIDTOPIA Festival returns this winter including the world’s largest snow fort, disco tubing, glow stick parades and more © 2010 Karen Rubin/news-photos-features.com. It may be summer, but it may not be too early to plan for snow. In fact, Vail Resorts’ seasonal Epic Pass, lets holders ski and ride free all summer long, June-October, at Las Leñas, Argentina when you stay at select lodging properties. The 2010-2011 pass is available now for $599 adults; $299 kids 12 and under. This coming season will also see the debut of the Epic 7-Pack for seven days at all the same world-class resorts for $449 for adults; $219 for children 12 and under. On the rooftop of 230 Fifth Avenue in New York City last week, members of Vail resorts’ marketing team told us about some of the upcoming changes, members of Vail Resorts marketing team also described Vail Resorts’ program of direct flights (and special deals) on American Airlines from LaGuardia Airport into Eagle Airport (EGE), just 30 minutes from Vail and Beaver Creek, and are hoping to repeat its Kids Fly Free program. Check www.FlyVail.com for the latest offers. What is more, if you are staying at Vail’s lodging, you also get to ski free on the day of arrival at Vail and Beaver Creek. Vail is also trying to work out a deal with the airlines so skiers don’t pay the baggage fee for their ski equipment, though many skiers are taking advantage of renting the latest equipment rather than lugging their stuff from home. Vail is a part owner in the SSV rental shops; a rental deal as part of the fly-in packages may also be in the works. Look for more collaborations between Vail Resorts and its subsidiary RockResorts, as well: a “Slopes to Seas” gives their snow vacationers a discount on its warm-weather destinations. In addition to its properties in Vail (2) and Beaver Creek (2), Aspen (the historic Hotel Jerome), Jackson Hole, Wyoming, Stowe, Vt, and the new one that just opened this summer in Breckenridge, RockResorts has boutique-style luxury resorts in New Mexico, St. Lucia, Turks & Caicos,and Bahamas and is opening Tempo Miami, Florida; and Balcones del Atlántico, Las Terrenas, Dominican Republic. (Visit www.rockresorts.com). Ultimate Four, a premium group lesson program for children ages 3–12 years with only 4 children per instructor. Your kids will be able to explore the mountain all day long while fine tuning their skills in a small-group setting, starting at $210*. Lunch for Less on-mountain meal offered at all five of mountain resorts for just $9.95 including an entrée, side and drink every day. Also look for Vail Resorts’ Appetite for Life program which serves organic dairy and locally grown food. Back again, experience the signature Epic Mountain Burgers and Yogurt Parfait desserts. Look for gluten free items too. It’s the largest program of its kind. Check out custom websites from Keystone and Heavenly for the latest and greatest offers both on and off the mountain: KeystoneTonight.com or “Countdown to Savings” on SkiHeavenly.com. An alpine coaster is being constructed at Breckenridge Ski Resort. The alpine coaster will be located at the Peak 8 Fun Park and the three-foot elevated track will wind guests of all ages through loops and curves within the canopy of Peak 8 set amongst a spectacular mountain backdrop. The coaster will open in August and will operate in the summer and winter! Also, RockResorts, a Vail Resorts subsidiary, is opening One Ski Hill Place, which adds a new level of luxury and true ski in/out convenience, to a ski holiday at Breckenridge. One Ski Hill Place, is one of two real estate properties that Vail Resorts is opening this summer and fall including: One Ski Hill Place, A RockResort property, features studio to four-bedroom wholly-owned units situated at the base of Peak 8 in Breckenridge; the Ritz-Carlton Residence, Vail, offers a limited collection of whole and club residences located within walking distance to shopping, restaurants, Gore Creek and the Eagle Bahn Gondola in Lionshead. Vail Mountain’s High Noon Lift (Chair 5) is currently being replaced with a new high-speed quad lift that will continue to serve the legendary Sun Up and Sun Down Bowls, cutting ride time in half from 12 minutes to six and has an uphill capacity of 2,400 people per hour. The tubing hill at Adventure Ridge on Vail Mountain is being expanded with additional tubing hill lanes and a new enclosed lift to provide guests with an easier and more enjoyable experience. A new 14,750-square-foot restaurant is about to get underway at Heavenly Mountain Resort, conveniently located at the top of the Heavenly Gondola. The lodge is architecturally designed to complement the beautiful mountain landscape and will ramp up the quality and variety of food and beverage offerings in a comfortable setting for guests. For the 2010-2011 ski season Vail Resorts is upgrading and increasing its fleet of more than 130 snowcats, which collectively groom hundreds of thousands of acres of snow throughout the winter months. The Company is also adding new snowmaking equipment to continue to deliver the best snow quality experience in the industry. If Ski School had recess, this would be it! The Adventure Sessions matches you with a top guide and a small group of similarly skilled skiers and riders – you’ll get the most out of your day, go places that you may not have been before, cut lift lines and pick up tips and technical information along the way. Starting at $119*. Find fresh tracks and secret stashes on a powder day in Vail’s seven legendary Back Bowls, stretching seven miles wide. On an average day, there are only two skiers per acre, and on a busy day, only four! Beavercreekextreme.com launches you into the ‘other side’ of the resort, highlighting the mountain’s most adventurous and challenging terrain. Ride to the top of the highest chairlift in North America, the Imperial Express SuperChair to 12,840 feet and ride the famed expert terrain of Breckenridge’s Lake Chutes. Keystone offers guided snowcat tours giving skiers and riders special access to nearly 300 acres of Keystone’s most challenging terrain in Independence Bowl. Heavenly offers some of the best tree skiing on the planet. Venture off any of the groomed trails and experience “the Hidden Heavenly.” Find them all at TahoeStash.com. Relax and unwind with locally inspired facilities, indigenous spa treatments and one-of-a-kind experiences at one of many RockResorts Spas…then get out and do it all again tomorrow! Ride up the Eagle Bahn Gondola to Vail’s Adventure Ridge for family fun with the rebound trampoline, new tubing hill, ski biking by headlamp and much more. Then enjoy an eclectic menu at Bistro Fourteen where kids always eat for just $10! Beaver Creek offers complimentary family activities six nights a week. Choose from a family snowshoe tour with cocoa and cookies, rail jams, skate night, and more. Tour a century-old, authentic gold mine 1,000 feet below ground to learn more about Breckenridge’s 150 years of history. 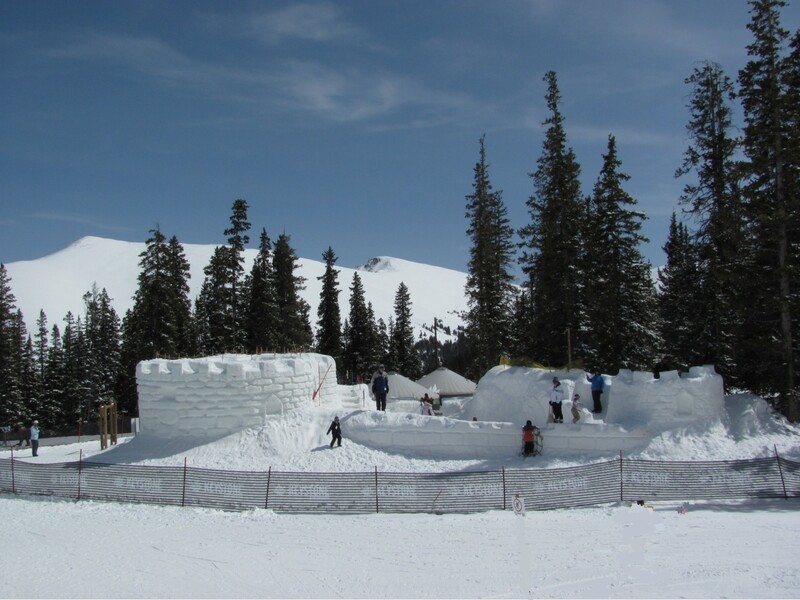 The KIDTOPIA Festival returns to Keystone this winter including the world’s largest snow fort, disco tubing, glow stick parades and more. Heavenly’s Adventure Peak offers sledding, ski bikes and a new, state-of-the-art tubing lift that will provide even more fun for the entire family. Environmental education: With programs like SKE-Cology + Ski with a Ranger + Hike-cology + Nature Tours + Volunteer Vacations, Vail Resorts offers unique learning programs for you & your kids. Finally, Vail and Beaver Creek have been selected to host the 2015 World Alpine Ski Championships. This will be the third FIS World Championships for the resorts, which previously hosted the 1989 and 1999 Championships. For more information, visit Vail Resorts, www.snow.com.